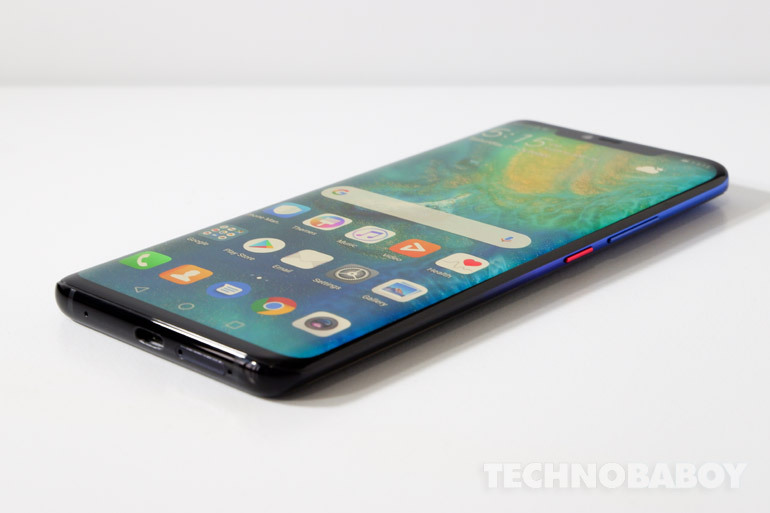 The Huawei Mate 20 Pro is the company’s latest flagship and its shaping up to be the one of the best smartphones of the year. The phone comes with three Leica-powered rear cameras, an in-display fingerprint scanner, and the new Kirin 980 processor. While we’re working on our review (which we’ll hopefully finish in the coming weeks), we’ll start with an unboxing, a quick hands-on, and run an AnTuTu Benchmark test. 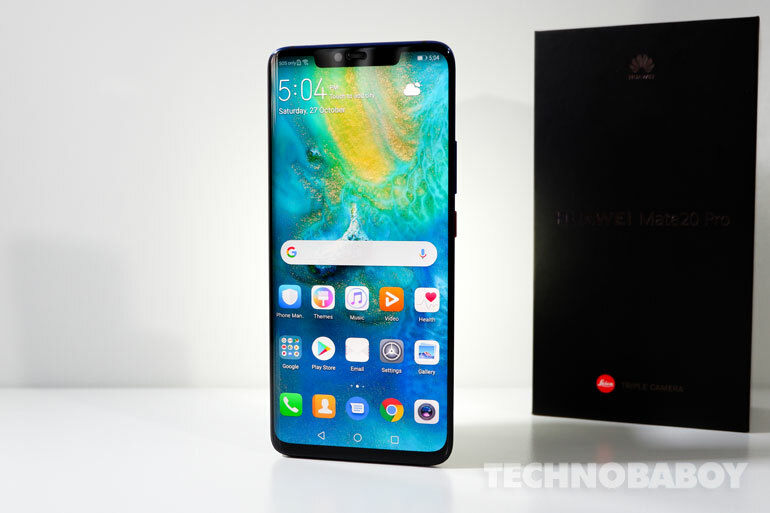 Here’s our quick unboxing video of the Huawei Mate 20 Pro. The Huawei Mate 20 Pro comes in an elegant dark brown textured packaging with a reflective title. It’s a beautiful compact box and it mirrors the device inside. Like most Huawei phones, this one comes with a complete package. Apart from the unit, you have a 40W travel charger, an USB Type-C cable, an USB Type-C earbuds, a USB Type-C audio jack adapter, and a clear soft case. 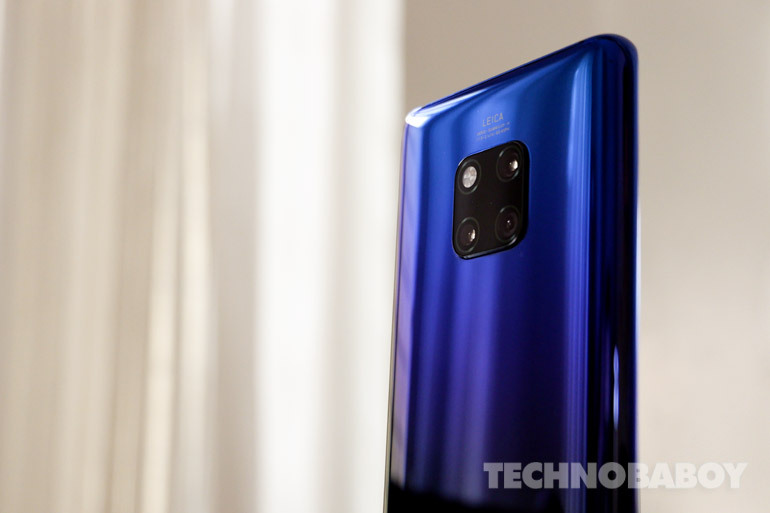 Before we move forward, let’s have a quick rundown of the Mate 20 Pro’s specs. The handset features a 6.39-inch AMOLED display with a notch, a 4,200 mAh battery, and a 40MP + 20MP + 8MP triple camera setup. The phone also comes with an in-display fingerprint scanner, a 15W wireless charging support, and reverse wireless charging which can charge other devices wirelessly. It is powered by the new HiSilicon Kirin 980 processor with dual NPUs, 6GB RAM, and 128GB storage. There’s also the new 40W SuperCharge technology capable of charging up to 70% in just 30 minutes. As soon as you open the box, you are greeted by one attractive handset. The Huawei Mate 20 Pro is a true beauty. It does so, because it looks like the company took inspirations from two equally gorgeous handsets — the new iPhone and Samsung phones — yet, it’s able to retain its own character. Aside from the look, the Huawei Mate 20 Pro feels great in the hand. I really like how comfortable it is to hold. Its sleek frame, long 19.5:9 body, and curved, sloping edges all contribute to how ergonomic it feels. The phone is solidly built with good weight as well. The front of the phone is mostly display. The bezels are really thin. There’s a wide notch which houses the earpiece, the light sensor, the front camera, and a new 3D Face ID sensor. The left side is empty. The right is where you’ll find the volume rocker and a red power button. At the bottom is the mic, a USB Type-C port (which doubles as a speaker), and the nano SIM tray. The top has an IR blaster and a secondary mic. We ran AnTuTu Benchmark to see how much power the Kirin 980 processor can achieve. It was underwhelming at first, and then surprising. During the first run, we got a score of 255,301 points. It didn’t break the September best performing smartphones on AnTuTu list (you can read about it HERE). 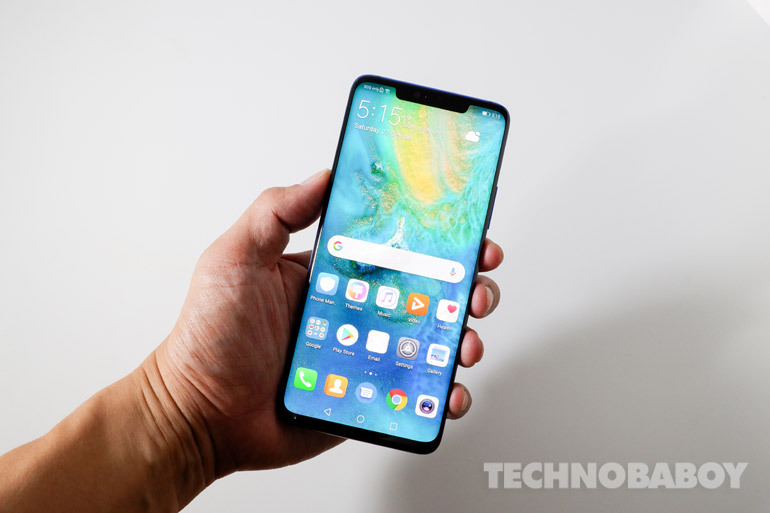 The tenth handset there is the Mi Pocophone F1 which has an average score of 268,367. But once we turned on “Performance Mode,” the score jumped to 298,418 points. It sits at the two spot, right behind the overclocked and liquid cooled ROG Phone, which has a score of 299,706. 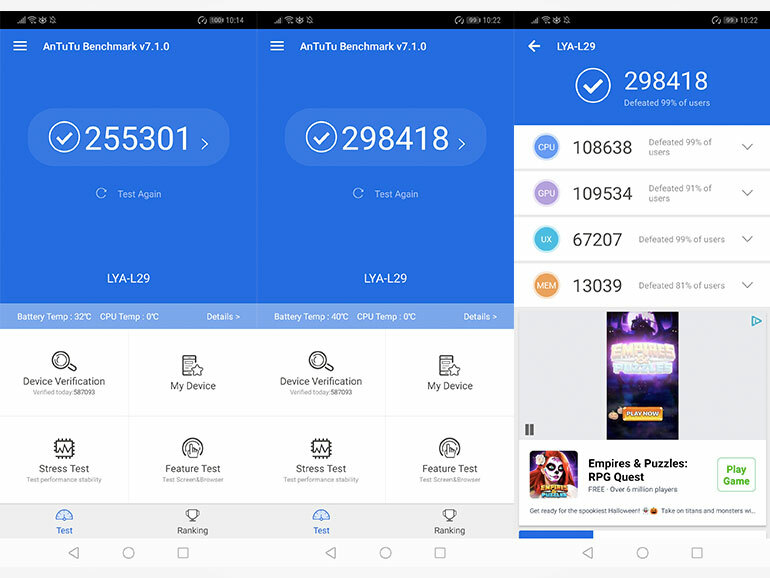 Breaking down its AnTuTu score, the Mate 20 Pro got 108,638 on the CPU test, 109,534 on the GPU, 67,207 on the UX, and 13,039 on MEM. Finally, a non-Snapdragon 845 phone is on AnTuTu’s best performing smartphones list. UPDATE (November 3, 2018): I ran another test after the Mate 20 Pro’s first update. The AnTuTu score improved to 299,988 points, edging the ROG Phone by a hair. The Huawei Mate 20 Pro is now available for pre-order until November 2 with a price of PHP49,990. Release date is set on November 3, 2018 in all Huawei Experience stores and partner retailers nationwide. 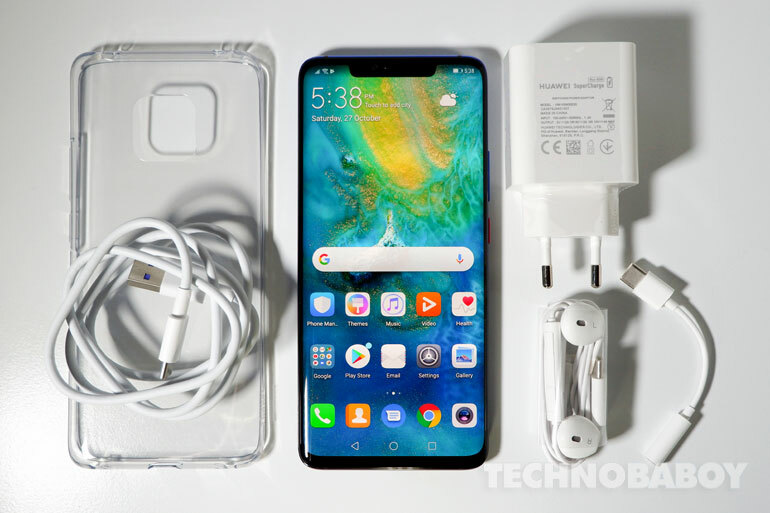 Alternatively, the Huawei Mate 20 is also available for pre-order for PHP40,990. You can read more about it HERE. For more details about the pre-order process, you may visit their page HERE. That’s about it for our quick hands on and unboxing. Be sure to stay tuned for our full review in the coming days.